You may know how important it is to have iron in your diet for overall health, but a recent study showed a connection between a lack of iron and hearing health. The study followed 305,339 adults between the ages of 21 and 90 and found those with iron deficiency anemia (IDA) are twice as likely to have hearing loss than those without the blood disorder. 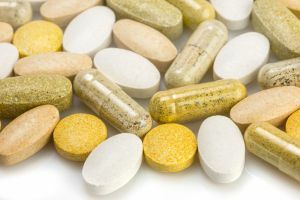 Supplements can help boost iron levels. The study, conducted by Kathleen Schieffer and colleagues at the Pennsylvania State University College of Medicine, was published in the December 29, 2016 online issue of JAMA Otolaryngology-Head and Neck Surgery and followed 305,339 adults between the ages of 21 and 90. The researchers found anemic individuals were twice as likely to develop sensorineural hearing loss and combined sensorineural and conductive hearing loss than those without the blood disorder. According to the Hearing Loss Association of America (HLAA), approximately 20 percent of Americans (48 million) have some type of hearing loss. The Mayo Clinic says 200,000 cases of sensorineural hearing loss (SNHL), which develops when the inner ear or auditory nerve are damaged, are reported each year. Causes for this type of hearing loss include congenital defects and infections in children while aging and exposure to loud noise can cause the condition in adults. Although SNHL isn’t reversible, those diagnosed often benefit from wearing hearing aids and/or assistive listening devices. Conductive hearing loss, on the other hand, can often be corrected with surgery or medication. This type of hearing loss occurs when an obstruction in the ear canal prevents sound from traveling from the outer ear through the ear canal. Causes can include ear infections, impacted earwax, allergies, and benign tumors or other foreign bodies. Just as diet and exercise impact weight, heart function and hearing health, insufficient iron levels can also impact your health. Low levels may result in anemia, a condition in which red blood cells lack the hemoglobin necessary to carry sufficient amounts of oxygen throughout the body. Although the body stores small amounts of iron in case of emergencies, systems which operate for a long period of time on low levels of iron can develop IDA leading to weight loss, decreased energy, headache, dizziness, and shortness of breath. People of all ages and ethnicities can develop IDA, although the condition is more prevalent in women during childbearing years because of blood lost during menstruation. Changes in the blood during pregnancy can also cause anemia. Other types of anemia are hereditary, such as sickle cell anemia, or are caused by chronic disease, such as kidney disease or following chemotherapy. For most individuals, eating a balanced diet provides the body with an adequate supply of iron. Foods rich in iron include red meat, pork and poultry, seafood, beans, peas, dark leafy vegetables, dried fruit and iron fortified cereals and pasta. In the inner ear, oxygen is necessary for the health of sensory hair cells involved in translating sound into electrical impulses. A lack of oxygen can damage these sensory hair cells or cause them to die, affecting the manner in which they are able to perform the translation and transmit the impulses to the brain for interpretation. Please consult your family physician if you think you may have an iron deficiency. In addition to blood tests, your physician may also perform a physical exam and ask questions about your family’s health history to determine what type of anemia you have, if any, and the appropriate course of treatment. And although IDA is very treatable, don’t stock up on iron supplements just yet to improve your hearing. The study authors emphasize further research is needed to understand the link iron plays in protecting our sense of hearing before supplementation can be used as a treatment plan for hearing loss. The human auditory system is a marvelous mechanism comprised in part of sensory hair cells, neurotransmitters and an intricate relationship between both ears and the brain. Given all the right pieces along with a healthy dose of nutrients and care, hearing acuity can last a lifetime. Yet this system doesn’t operate in a vacuum, in fact, it’s only as good as the larger complex machine it belongs to -- the human body. When an essential part is missing, the effect can be damaging throughout. The key is to maintain a healthy lifestyle by eating a balanced diet and getting the proper amount of exercise each day. If you aren’t hearing as well as you used to, regardless of the cause, make an appointment to have your hearing tested by a hearing healthcare professional as soon as possible.